Can I just say, ♥ Thank You ♥, you all lit up my life last week with yourbeautiful photos of the things, pets, and people who light up your life, and I am so proud of all of you. Part 4 takes us off in another direction as we start to create Sunbursts, don’t worry about the wobbly effect your work will have this week, it takes time to create something wonderful and there are always stages where we can’t quite see where we are going. But to keep your mind at ease, here is a reminder of what you are creating. This week should be a breeze for you all as we complete another round of Star Stitch, and make a few Ruffle stitches, though you have done these before, do remember to use your stitch markers, and count, count, count. 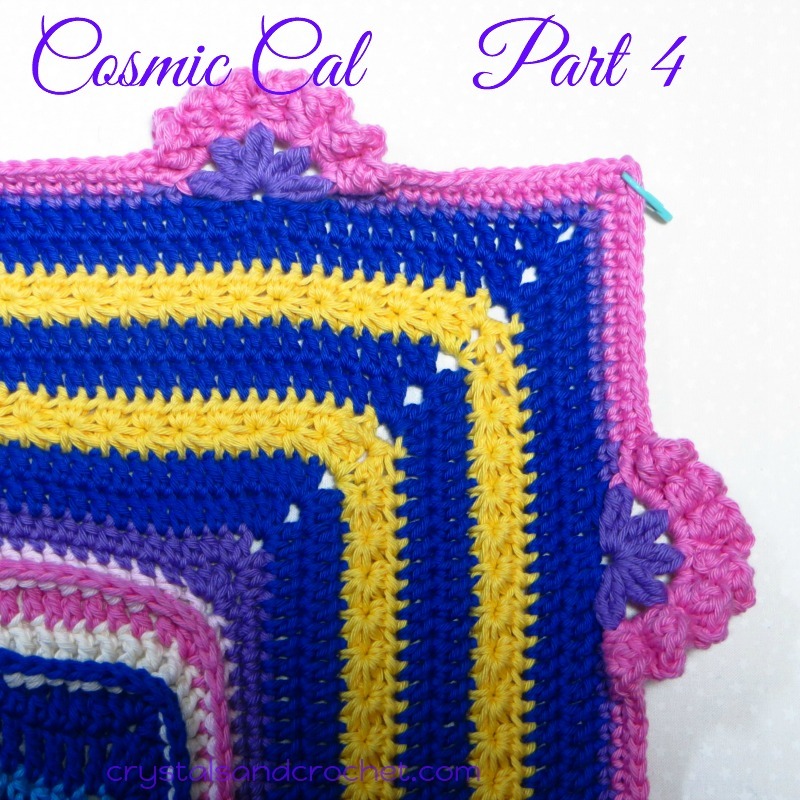 Part 4 of the Cosmic Cal, sponsored by Stylecraft Yarns.